The Ride Majestic is a complex album with plenty of dynamic and well-written tracks that prove Soilwork fully capable of maintaining their status among the top acts in the melodic death metal genre. 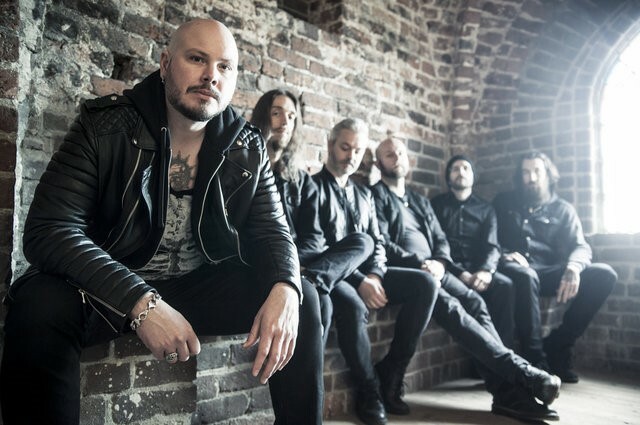 Showing no signs of slowing down, Swedish melodeath masters, Soilwork, are set to release their tenth studio album, The Ride Majestic, via Nuclear Blast Records on August 28, 2015. Two years after releasing their highly acclaimed double-album, The Living Infinite, Soilwork have returned with an album that may rival its predecessor. The Ride Majestic is packed full of infectious riffs and relentlessly catchy vocal hooks. “The Ride Majestic,” and “Petrichor By Sulphur” are excellent examples. Singer Björn “Speed” Strid hits his stride and maintains a perfect balance between clean singing and rough growls. Drumming juggernaut Dirk Verbeuren shines throughout the album with merciless blasts and frenzied double-kick assaults. Verbeuren and bassist Ola Flink provide an energetic foundation for the dual-axe attack of Sylvain Coudret and David Andersson, creating a mesmerizing combination of furious riffs and magnificent shredding on epic compositions like “The Ride Majestic (Aspire Angelic),” or the previously mentioned scorcher “Petrichor By Sulphur.” The former is an amazing track that showcases the very best of what Soilwork is capable of accomplishing and is perhaps my favorite cut on the album. Closing track “Father and Son, Watching the World Go Down” features a guest appearance by Sonic Syndicate frontman Nathan James Biggs. Dirk Verbeuren’s propulsive drumming, combined with the enduring melodic vocal hooks, make for a remarkable last track on what is sure to be another celebrated milestone for Soilwork. [separator style=”space” /] The Ride Majestic will be released on August 28 and can be ordered here and on iTunes.